We all hear HODL (Hold On for Dear Life) and BTD (Buy The Dip) but shorting is a strategy which is much less discussed in the cryptocurrency world. This article will provide a guide on how to short Bitcoin, so you have a chance of being profitable when the next bear market hits. Shorting is the practice of betting on the price of an asset going down. To go long is easy. You just have to buy Bitcoin and hold it. To go short is a different process. In the stock market, shorting involves getting your broker to borrow stocks and selling them immediately. The stock is bought back when the trader wishes to close the position. If the price goes down, the client who is shorting will profit from the difference between the price when they borrowed and when they bought back. If the price goes up, the shorting trader suffers a loss. Because there is no cap on how far a stocks price can rise, the potential loss when entering a short position is in theory unlimited making shorting a very risky practice. Not everyone is aware that shorting is also possible with cryptocurrencies. Given the market decline which has taken place since the start of 2018, professional traders have had to turn to shorting Bitcoin as a strategy increasingly. The main way shorting is completed in the cryptocurrency market is through derivative contracts. A derivative contract is a financial contract whose price is determined by an underlying instrument. For example, the most traded derivative in cryptocurrencies is a contract which tracks the price of Bitcoin against the USD. It is important to note that when you buy a derivative, it doesn’t mean you own the underlying asset. It simply means that you are exposed to the price. Derivatives also allow traders to apply more advanced strategies that they cannot apply when they buy the actual asset. One thing derivatives enable is the ability for traders to apply leverage. Leverage essentially means that the potential return on a trade is increased by using borrowed funds. However, this also increases the risk. It’s best to think about it in terms of an example. Imagine that Bitcoin is trading at $1,000 and you have $1,000 to invest. By buying the underlying asset, you can purchase 1 Bitcoin. If the price of Bitcoin increases by 10%, the amount you invested increases by 10%. On the other side, if the price of Bitcoin decreases by 10%, your investment has also depreciated 10%. There is also the fact that you own the actual Bitcoin which is a big consideration for many. Let’s say the same scenario is playing out, but you have decided to use a derivatives contract as opposed to investing in actual Bitcoin. The derivative contract allows you to apply 10x leverage. This means you can use the $1000 to buy a contract which is similar to owning 10 Bitcoin at a total value of $10,000. You have $1000 of your own equity in the position and $9000 which is essentially borrowed from the exchange. If the price of Bitcoin increases 10%, the total value is worth $11,000, and there is a 100% return on the initial investment as opposed to the 10% return in the scenario where you buy the underlying asset. However, if the price of Bitcoin decreases to a point where the value of the equity is approaching zero, the exchange will liquidate the position, and the trader will suffer a 100% loss. When buying Bitcoin, you will always own it even if the price goes down. 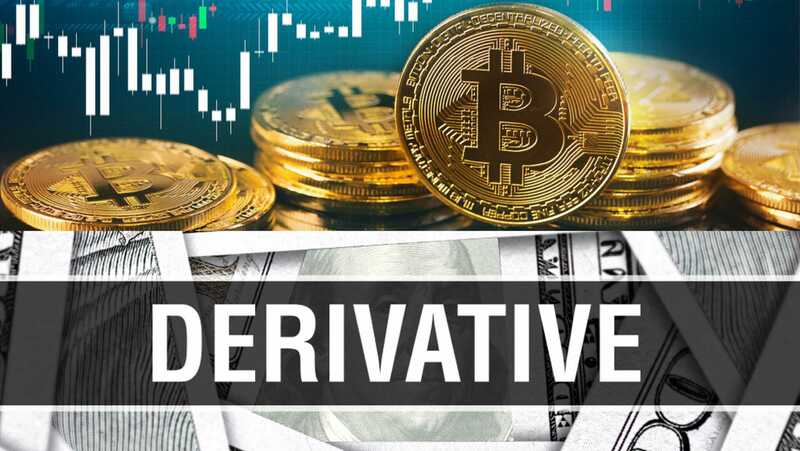 In derivative contracts, it is commonplace for different exchanges to liquidate positions if they are leveraged, and the price goes down to a point where the initial equity the trader has put in has almost diminished. When entering positions, exchanges will typically clarify what price the position will be liquidated at. The twitter account BitmexRekt records liquidations taking place on the most popular cryptocurrency derivatives exchange BitMEX. The same mechanism applies when taking short positions. Traders are essentially borrowing funds to take a short position. However, it is also possible for short positions to be taken without applying any leverage. What Are the Main Places to Trade Derivatives in Cryptocurrencies? Some exchanges are operating in cryptocurrencies that focus solely on providing derivatives. The most popular by a large extent is on BitMEX. Unfortunately, it is restricted for those in the United States. The flagship product on BitMEX is the XBTUSD perpetual swap which is essentially a derivative that never expires and closely tracks the price of Bitcoin against USD. Traders can apply up to 100x leverage on the product meaning that owning 1 Bitcoin will allow traders to open a position with a value of 100 Bitcoin. However, this also means that if the Bitcoin position moves less than 1% in the wrong direction, the position will be liquidated. Another thing to note about trading on BitMEX is they only deal with Bitcoin. Users deposit Bitcoin, and if they speculate accurately, their balance of Bitcoin will build. If they speculate incorrectly, their balance of Bitcoin will diminish. 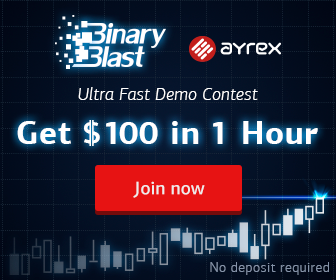 Deribit is the closest competitor to BitMEX and also operates solely with Bitcoin. Some fiat to cryptocurrency exchanges have also been providing derivatives products. OKEx, a subsidiary to OKCoin, offers derivatives with contracts that offer up to 20x leverage. Japanese headquartered exchange bitFlyer also have their own derivatives exchange, BitFlyer Lightning. Kraken has also recently announced a nine-figure acquisition which will serve to add derivatives trading to their platform which will include enabling Bitcoin shorting. Kraken will be the first major cryptocurrency exchange that operates in the euro and USD markets to provide derivatives trading. How to Short Bitcoin – A Guide to Shorting BTC in 2019 was originally found on copy trading cryptocurrency | Blockchain News | Bitcoin News | blokt.com.